There is a new theme for 2014 Spicemas. 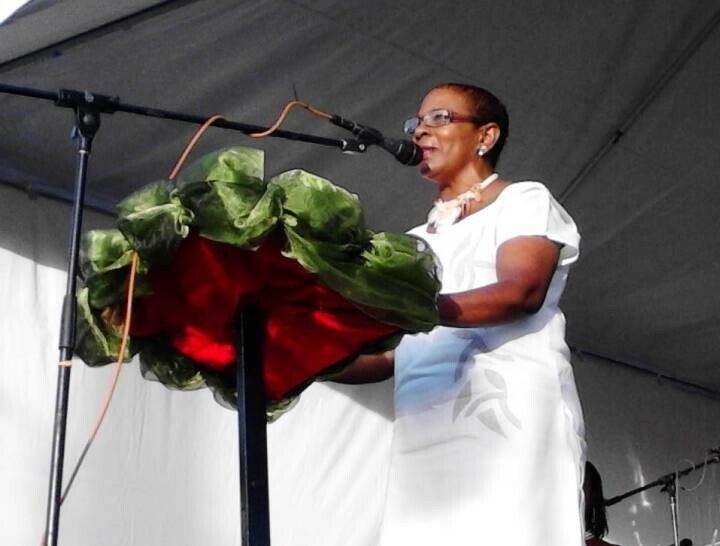 Last Saturday, Culture Minister Brenda Hood announced that “Uniquely rooted in our rich ancestral traditions, Spicemas 2014, an Explosion of Calypso and Soca” will be the theme for this year’s carnival celebrations. She made the announcement at the Port Highway while delivering an address to officially launch the start of the 2014 celebrations. On the 6 May media launch, it was announced that Spicemas 2014 the Mecca of Calypso and Soca, was to be the theme, but Hood said that following many concerns expressed by the general public, a review was done, and a new theme adopted. Hood is no stranger to the culture ministry. 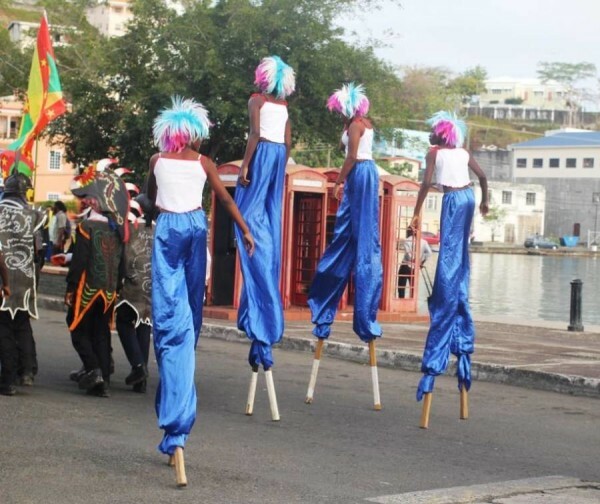 Over the years she is among the few ministers of government to appear in costume and parade on the streets. 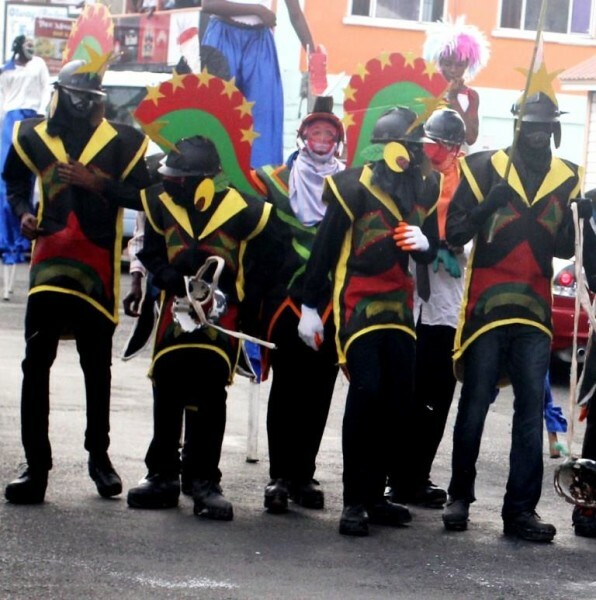 “Find a costume of your choice and have great Spicemas experience,” she said to the those who came out to witness the opening ceremony which featured parading of traditional mas such as Shortknee, Vieux Croix, Moko Jumbie, and Jab Jab, as well as performances from 2013 panorama champion New Dimension Steel Orchestra, reigning calypso monarch Keturah George and other soca artistes. 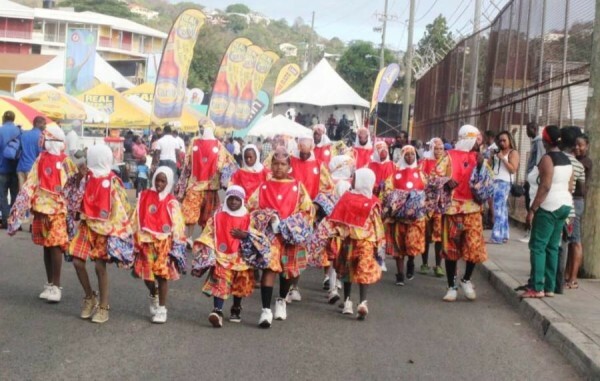 Chairman of the SMC Alister Bain reminded the people that Queen Show will be back on the agenda for 2014, despite the change in venue for the major events because of the unavailability of the National Stadium. With regards to sponsors he said that LIME will continue to be the platinum sponsor for Soca Monarch, and the National Lottery Authority for Panorama. Both companies will be providing EC$180,000 and EC$352,000 respectively. The Grenada Broadcasting Network (GBN) will be the official media and advertising platform with support of EC$80,000. Other sponsors include: George F Huggins, Grenada Distillers, Columbian Emeralds and Westerhall Rum.